In exciting news for fans of old Hollywood glamour and/or primitive wi-fi technology (yes, we’re vastly oversimplifying it, we know), this afternoon Showtime announced that Wonder Woman herself, Gal Gadot, is “near a deal” to star in and executive produce a series for the premium cable network based on the life of Austrian-born actress and inventor Hedy Lamarr, who in 1942 patented a frequency-hopping system designed to aid the Allies in World War II that was later incorporated into Bluetooth and early wi-fi technology. She remained popular throughout the 1940s, arguably peaking with Samson And Delilah in 1949, the most popular film of that year. Her film career declined in the 1950s and ‘60s, and by 1981 she had retired to Florida, where she eventually went into seclusion. Meanwhile, in the 1960s, the U.S. Navy—which had initially dismissed Lamar and co-inventor George Anthiel’s invention—adopted their frequency-hopping spread spectrum technology, beginning a series of innovations that eventually led to wi-fi. At the very end of her life, Lamarr’s work as an inventor was acknowledged in scientific communities, but it wasn’t really celebrated until long after her death in 2000. Showtime also seems enthusiastic about the possibility of a series, written by The Affair co-creator Sarah Treem. 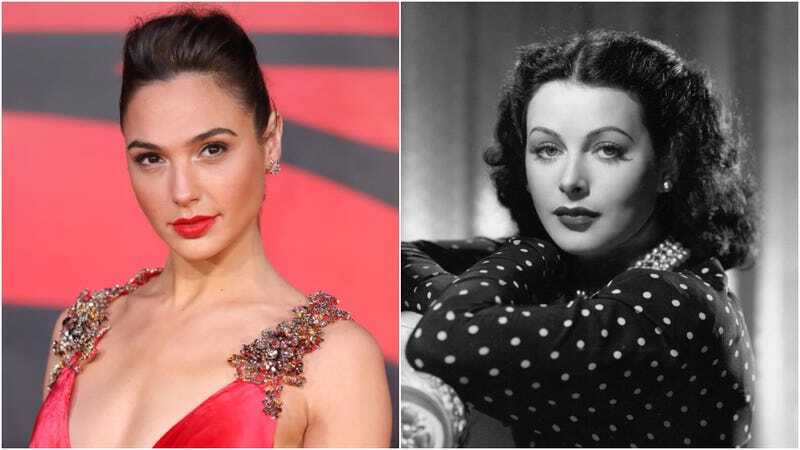 At today’s TCAs presentation, Showtime programming president Gary Levine said, “if Hedy Lamarr and Gal Gadot and Sarah Treem come together on Showtime, we would be very happy about it.” In fact, the only person pissed about this news is, presumably Diane Kruger, who bought the rights to the book Hedy’s Folly: The Life And Breakthrough Inventions Of Hedy Lamarr, The Most Beautiful Woman In The World last fall with the intent of developing a TV miniseries with herself in the starring role. Google, which dedicated one of its signature doodles to Lamarr on what would have been her 101st birthday in 2015, was involved with that one. But hey, if we can have multiple Robin Hoods, why not multiple Hedys?